First Breath After Coma has the refined ability to pack the world of post-rock right into regular-sized songs. Add to that a persistent need to explore new sounds and you’ve got one of Portugal’s most promising talents. The band’s latest album, Drifter, was nominated for European Independent Album of the Year by IMPALA. 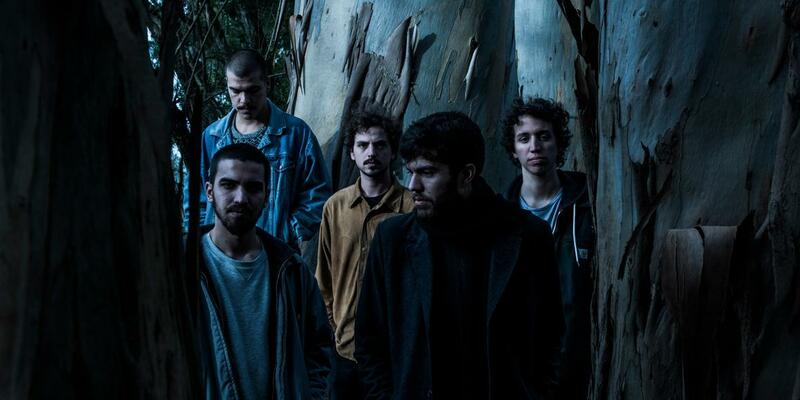 The band hails from Leiria and has played some of Portugal’s biggest festivals, Paredes de Coura and Primavera Sound. Internationally, they have set foot in Reeperbahn, Eurosonic and The Great Escape. In the past, the members of First Breath After Coma had already existed in another band. They decided to split and the time spent apart made them find a new converging sound that was influenced by post-rock. After being selected by FNAC New Talent, they released their first concept album, The Misadventures of Anthony Knivet. As of late, they have been busy touring Europe and showing of the sonic beauty that is Drifter, their 2016 record that was produced using crowdfunding to partially fund the project. The new album opens up worlds of melancholic experimentation, merging folk influences and ethereal vocals into their sound. They also expanded their world with guests like Noiserv and André Barros that take their sound further in magnificent tracks like “Nagnami” and “Umbrae”. Now First Breath After Coma’s mission is planned. They are dead set on taking their music as far as they can through their concerts and display their universe to new audiences.